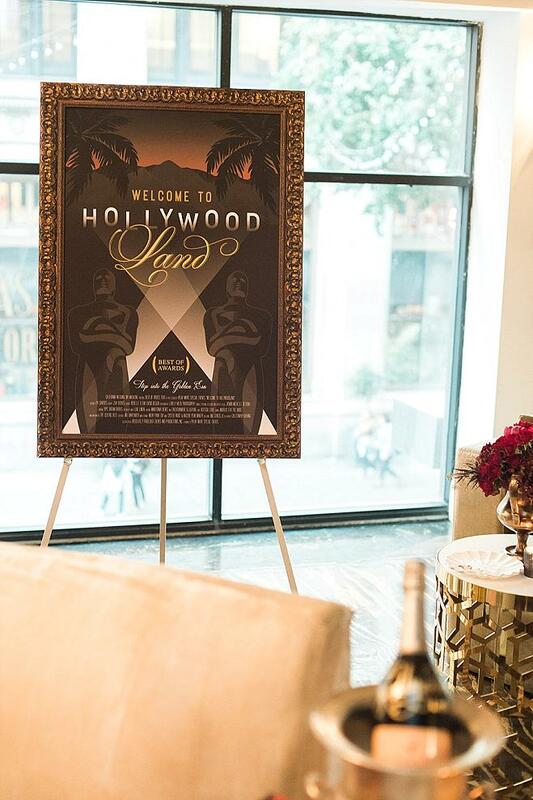 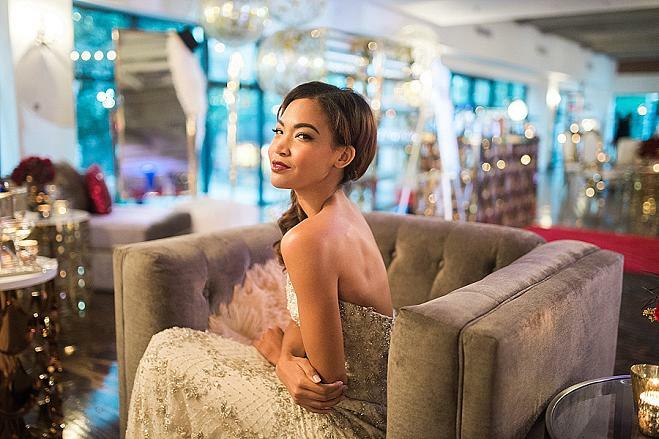 Hylah White took inspiration from her love of Hollywood and created an ambiance of glitz and glamor along with a timeless essence. 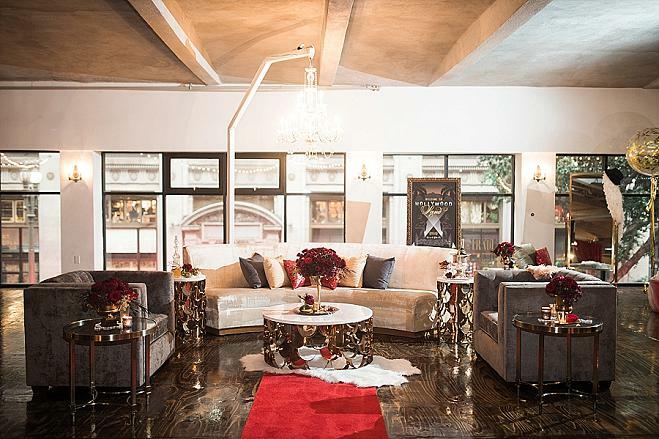 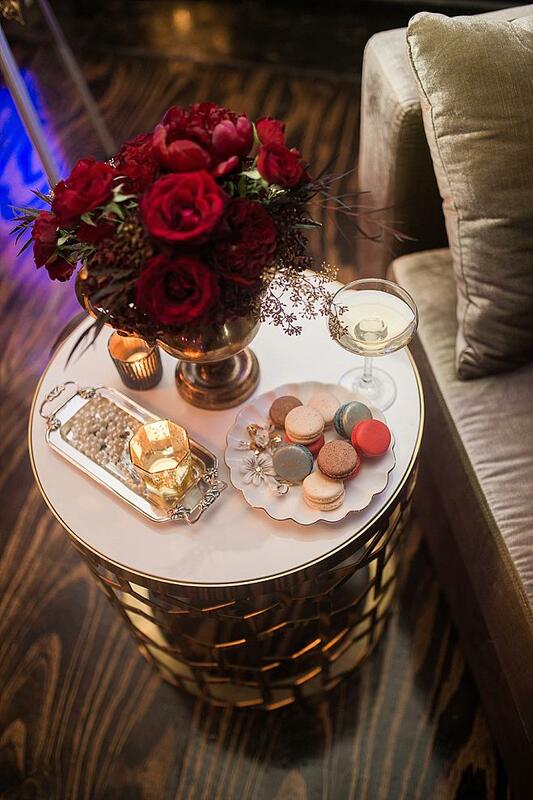 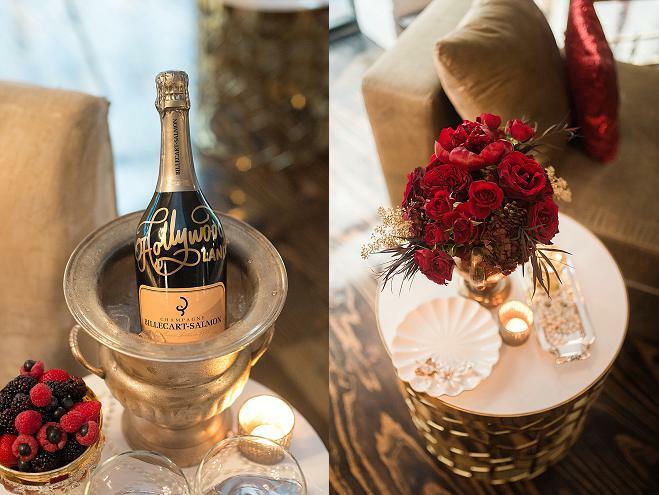 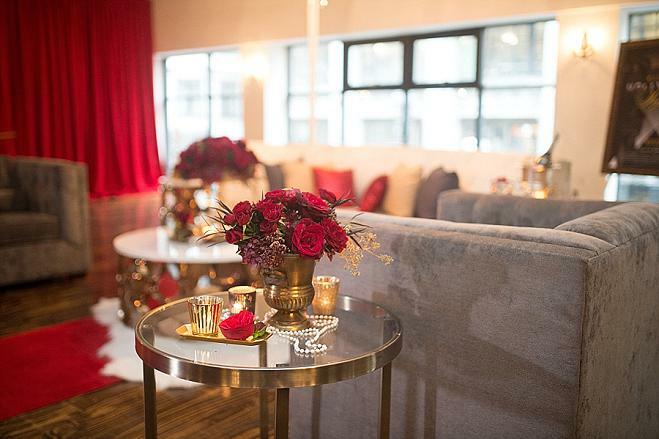 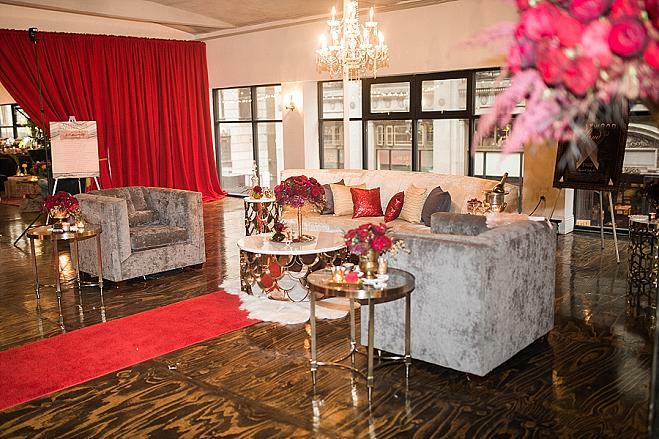 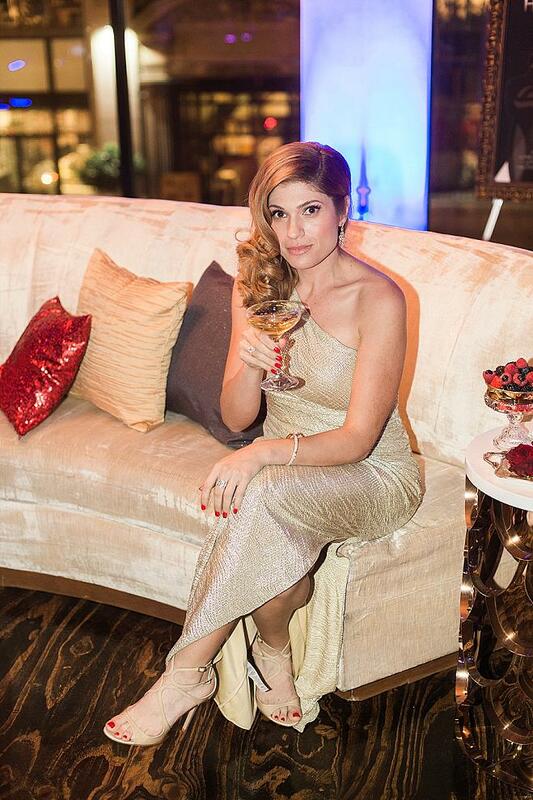 Says Hylah of her rich design, "The red carpet invited guests to mingle throughout this classy yet fun lounge that had a moody element. 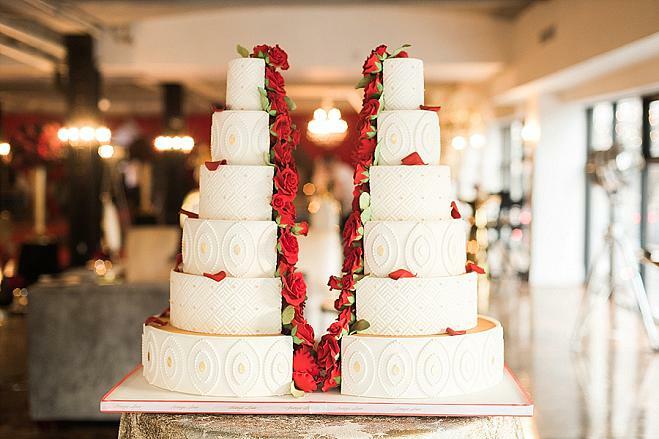 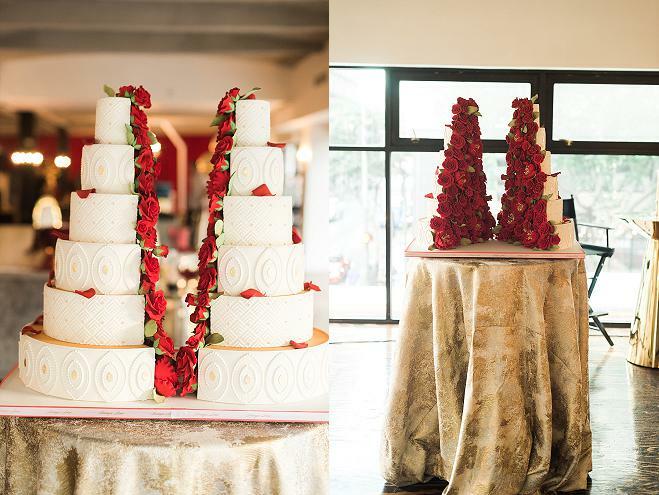 The gorgeous flowers, rich in texture by Rebelle Fleur Event Design complimented the stunning custom cake by Bottega Louie. 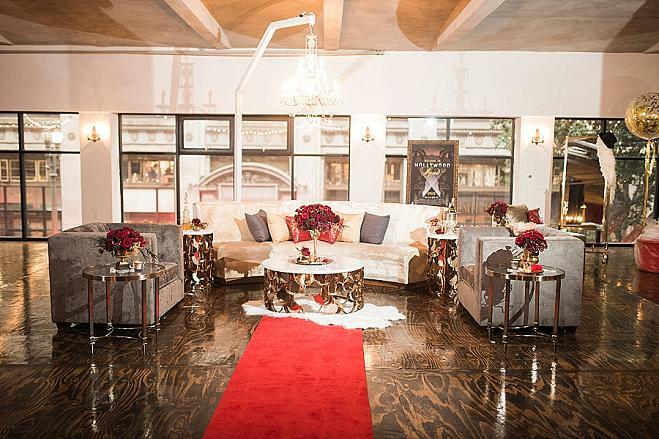 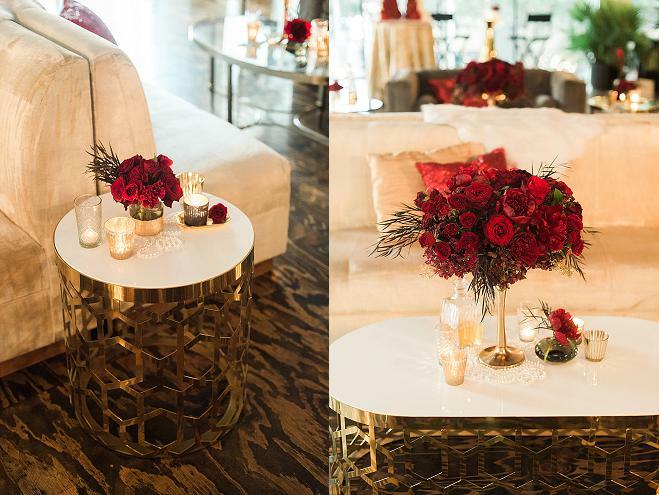 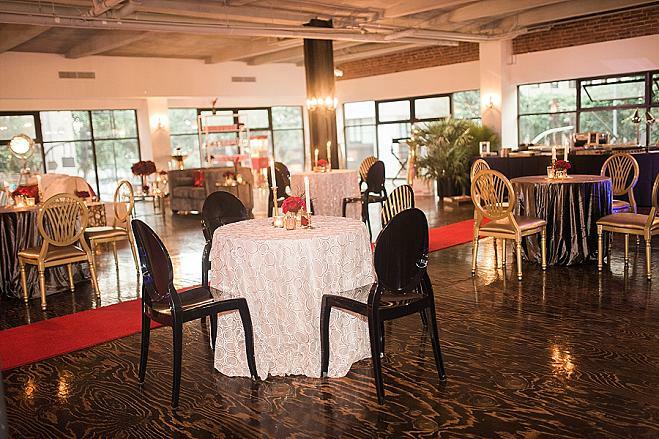 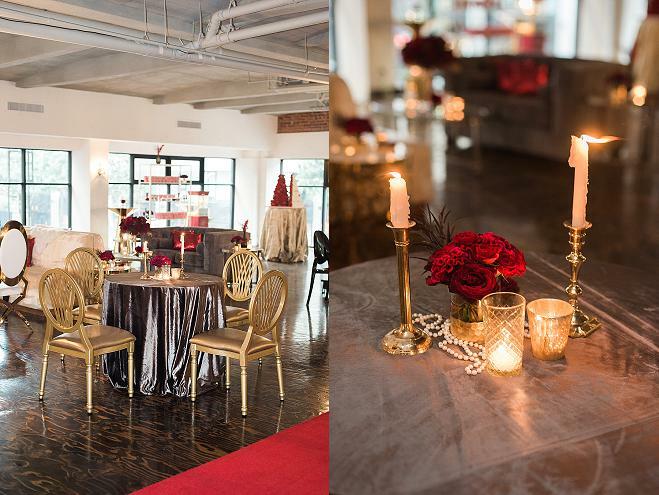 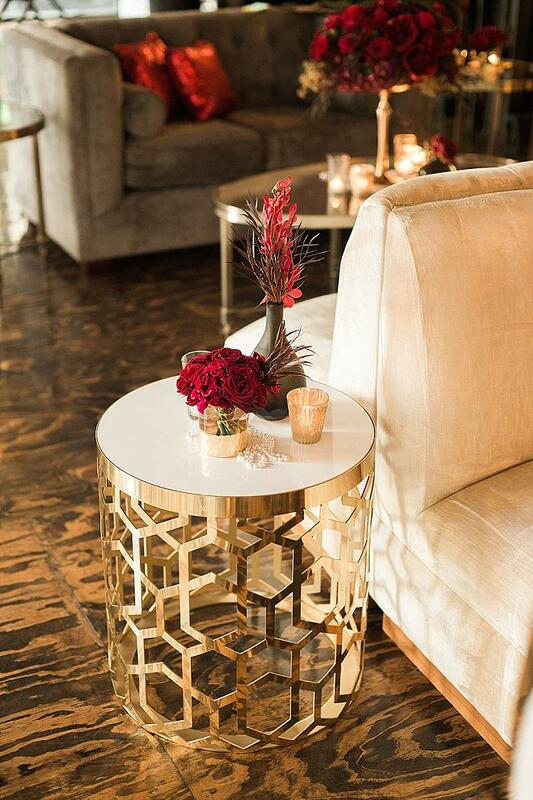 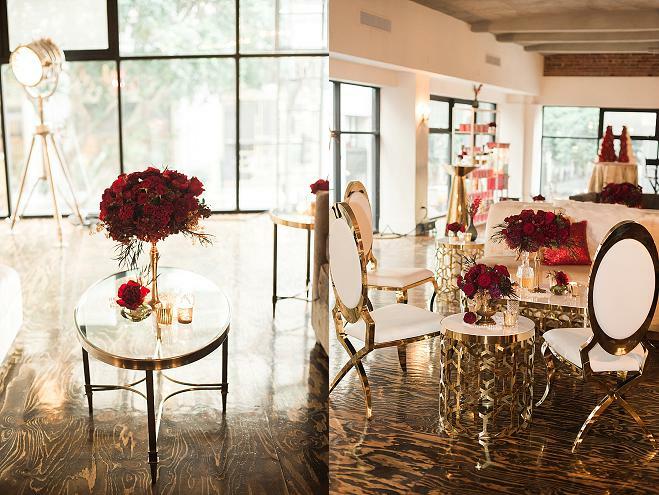 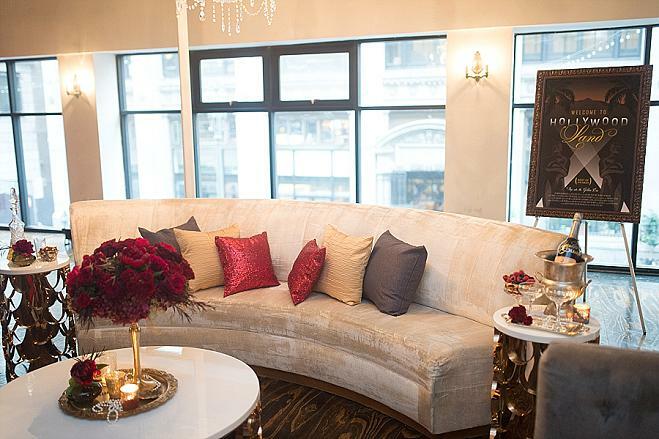 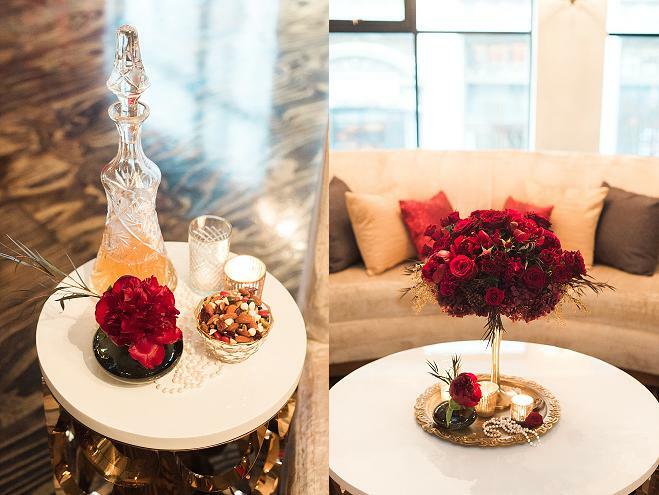 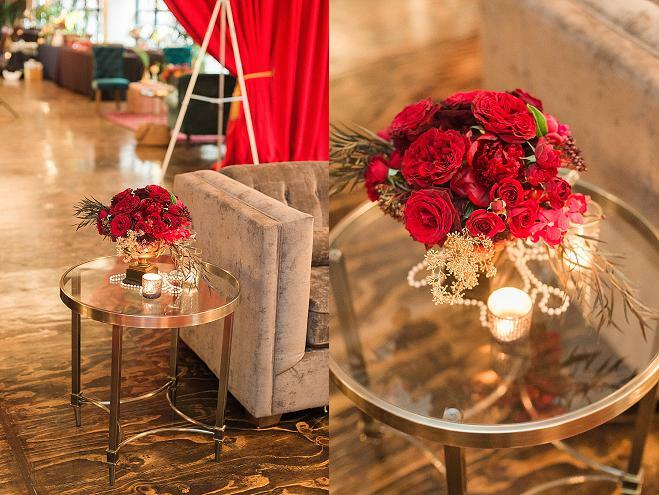 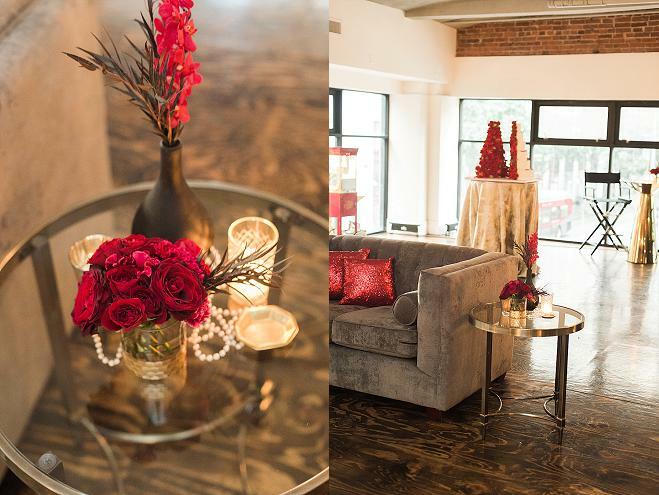 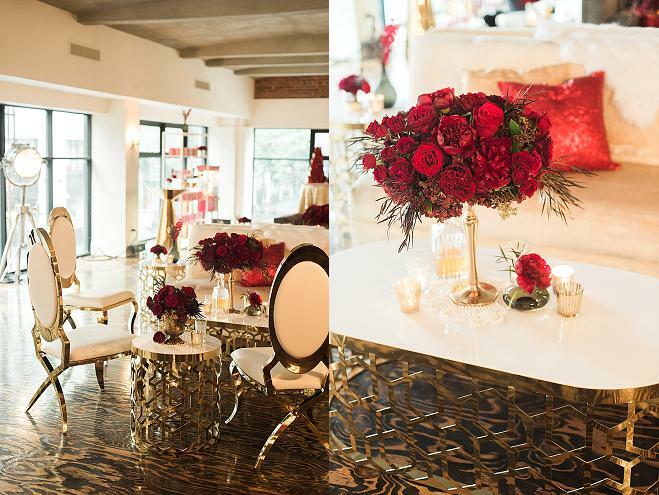 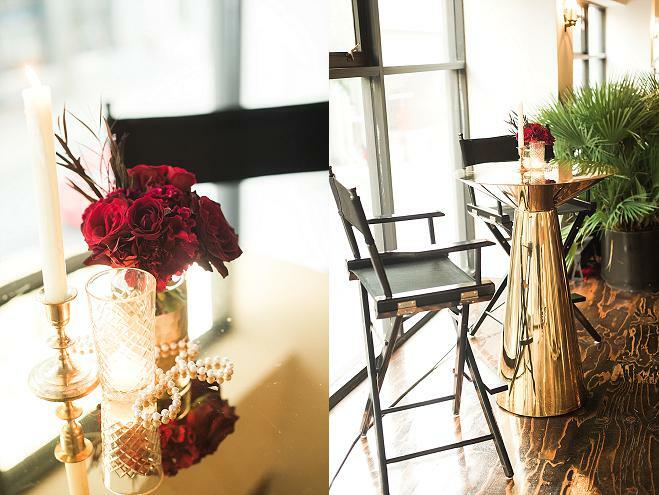 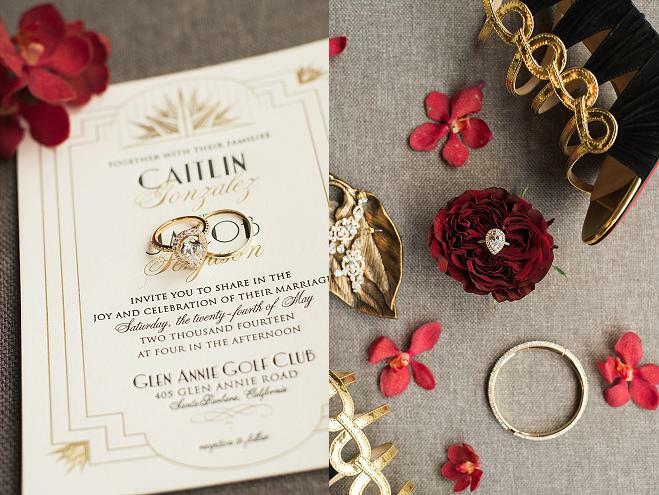 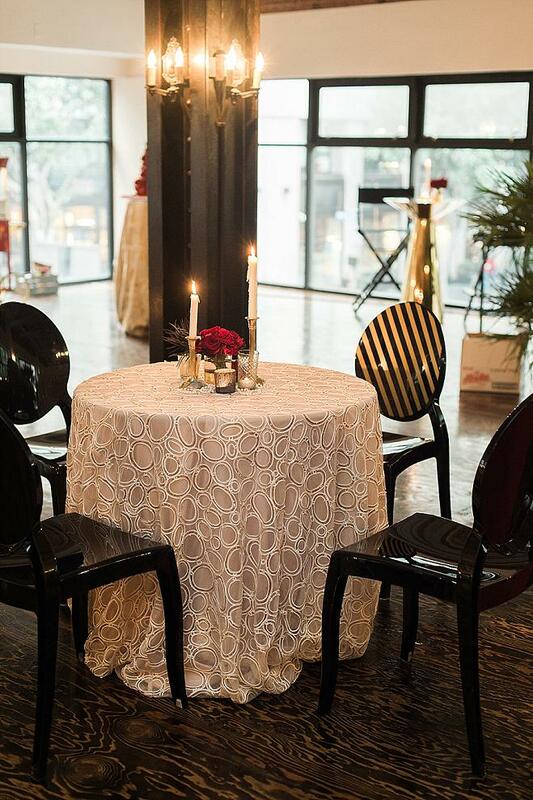 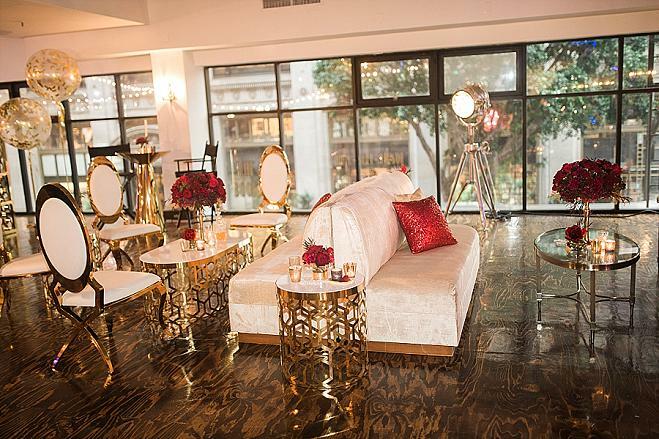 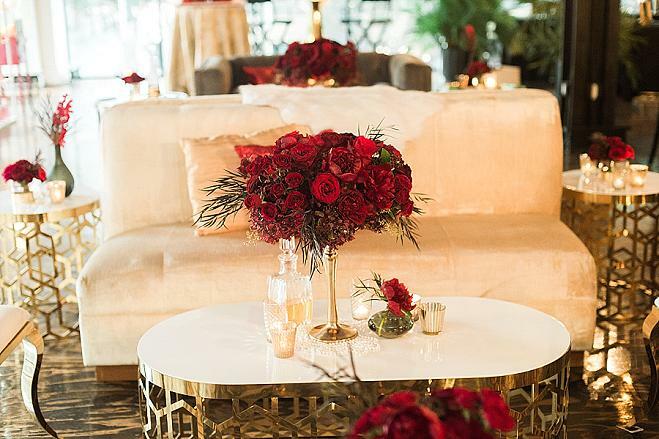 Mixing and matching 204 Events new breathtaking line of furniture, paired perfectly with the richness of Luxe Linens. 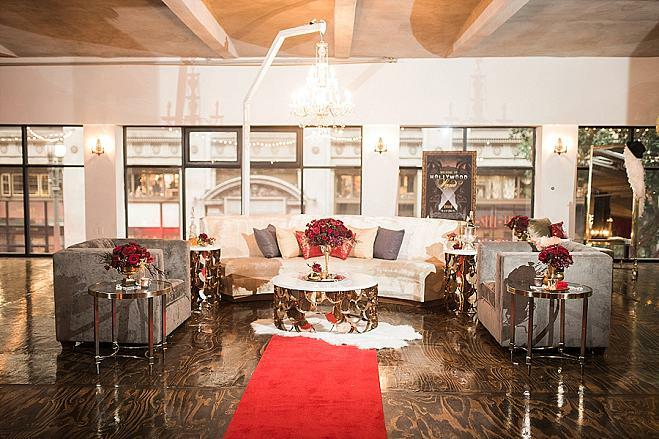 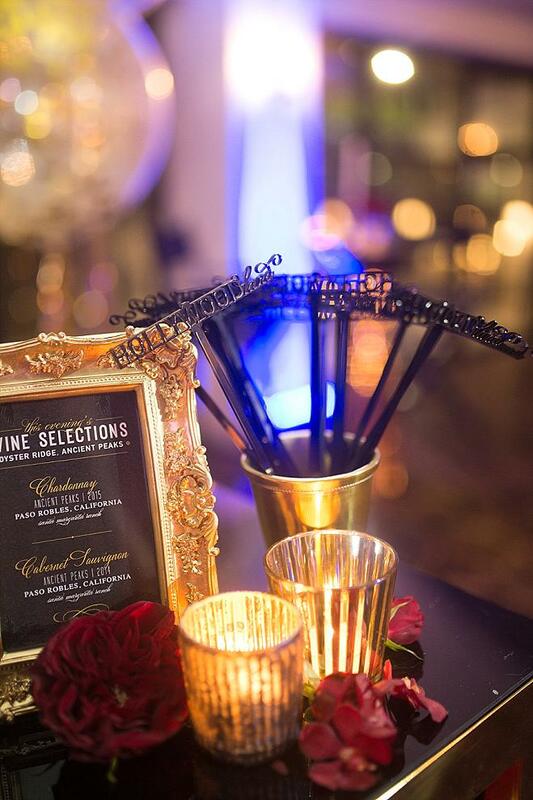 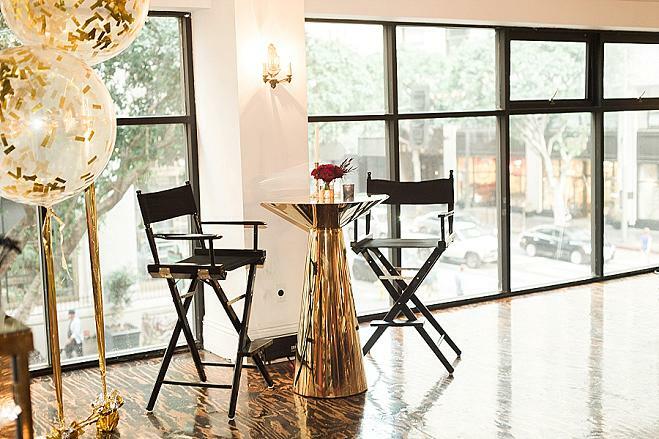 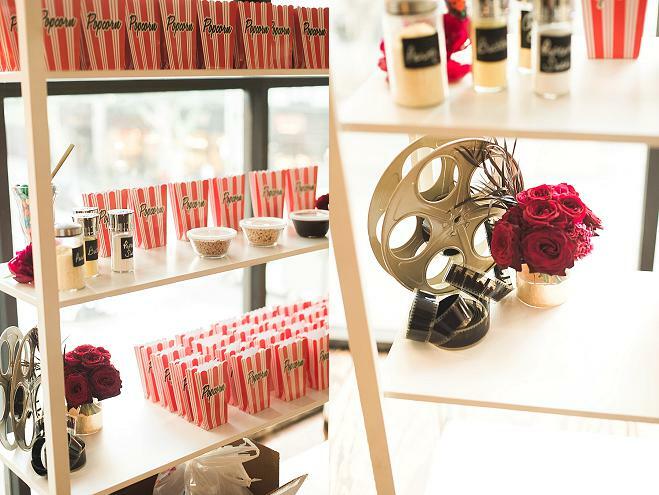 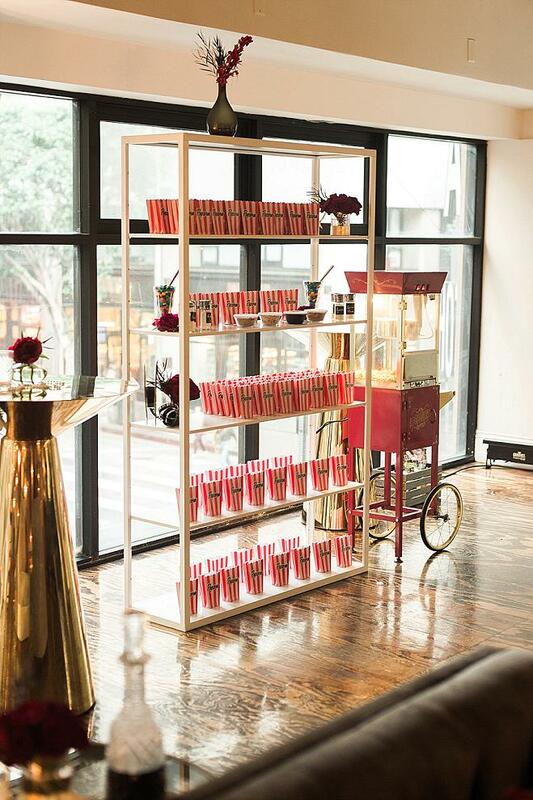 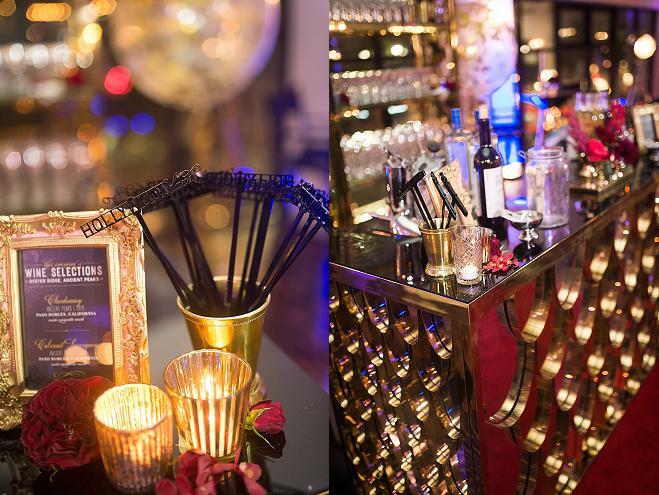 It was a festively decorated space perfect for the occasion to celebrate the nominees and winners." 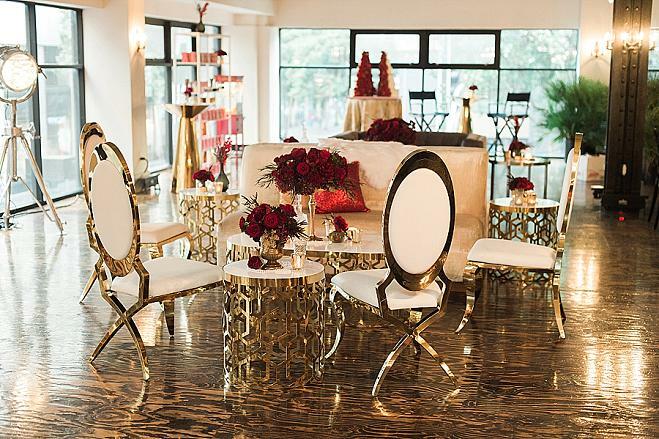 Golden Statues: Absolutely Fabulous! 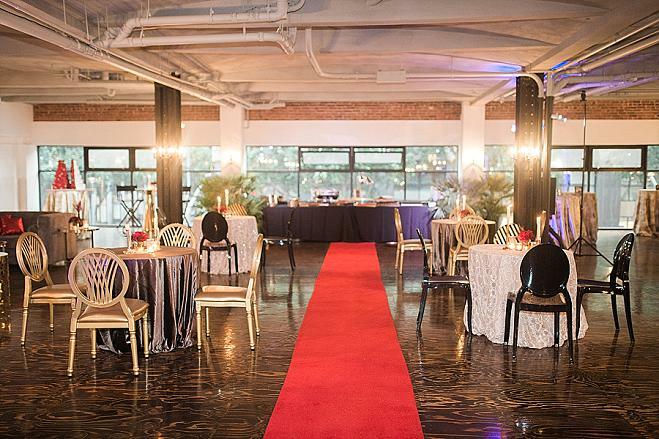 Events and Productions, Inc.